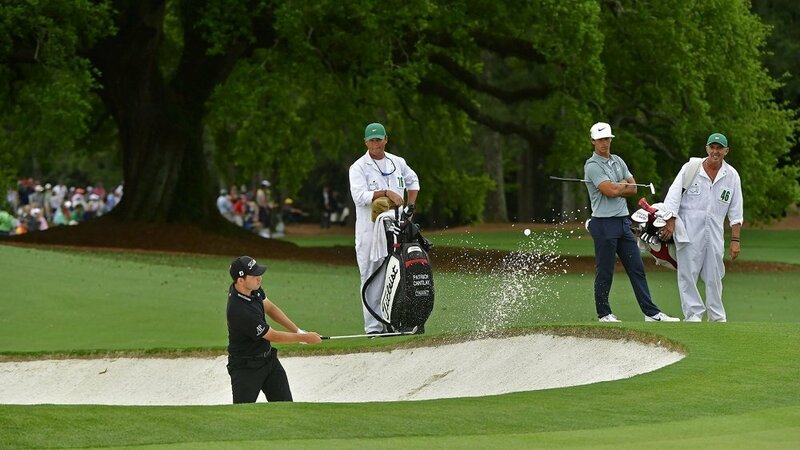 In an unusual move, Augusta National changed the starting time of the final round of the Masters. With severe weather anticipated during the afternoon hours, every effort was being made to complete the tournament on Sunday. Clearing the course of tens of thousands of patrons (fans) was also a consideration. Play started at 7:30 am, groups were sent off the back nine as well as hole number one. 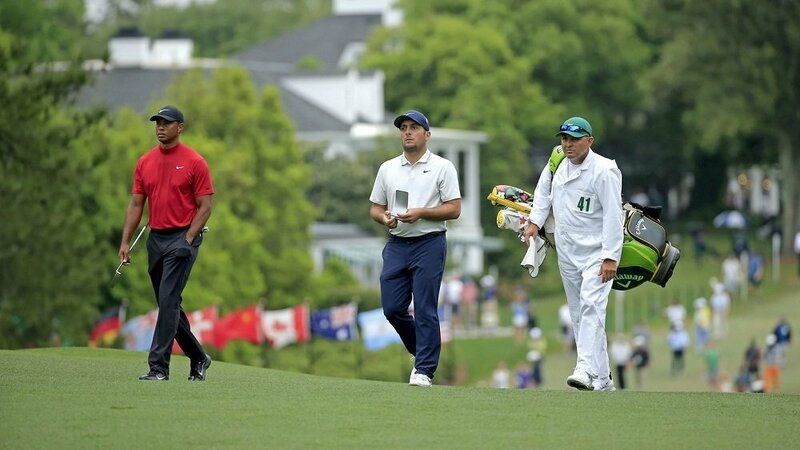 The leaders Francesco Molinari(-13), Tony Finau(-11), and Tiger Woods(-11) teed off just before 9:30 am. Things were quiet early with no major movers over the first nine holes. Rory McIlroy shot a 4 under 68 to finish the tournament 5 under in a tie for 21st. Aaron Wise carded a 67 for a total score of 7 under and a 17th place finish. Molinari battled through a difficult front nine at even par, making some incredible one-putt saves. 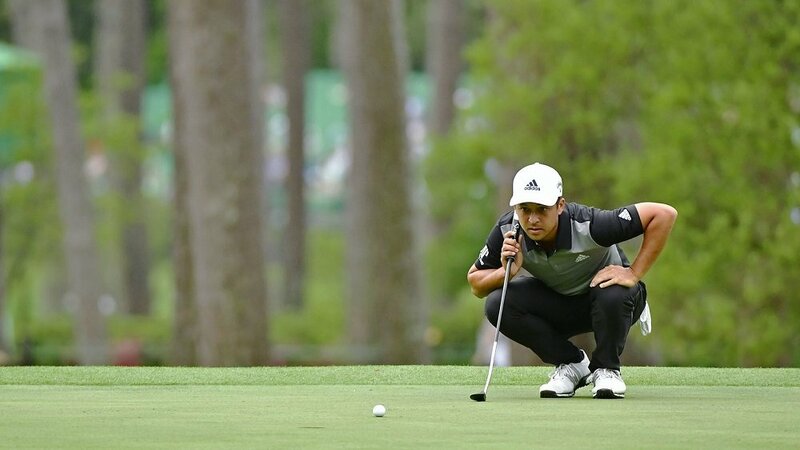 After 48 holes without a bogey, he finally succumbed to Augusta’s difficulty by making a 5 on the par 4 7th hole. Molinari quickly recovered with a birdie on 8. Patrick Cantlay was two over after the first two rounds before his 64 Saturday brought him to 6 under. Five birdies and a bogey brought him to 10 under after 11. Molinari’s round came undone on the par 3 12th when he hit it in the water short of the hole. Then Finau followed suit splashing into Rae’s Creek as well. Both made double bogey. Tiger safely on in the middle of the green, two-putted for par. Cantlay eagled the par 5 15th and suddenly there was a new leader. Xander Schauffele cards 4 birdies and 3 bogeys on the front 9. Birdies on 11, 13, and 14 take him to 12 under and a tie for the lead. Cantlay bogey’s the 16th and drops out of the lead. Molinari and Woods birdied the 13th to bring them into a 3-way tie for the lead. Another bogey for Cantlay on the 17th and he drops out of contention. Dustin Johnson birdies 15, 16, and 17 to claim a share of the lead. 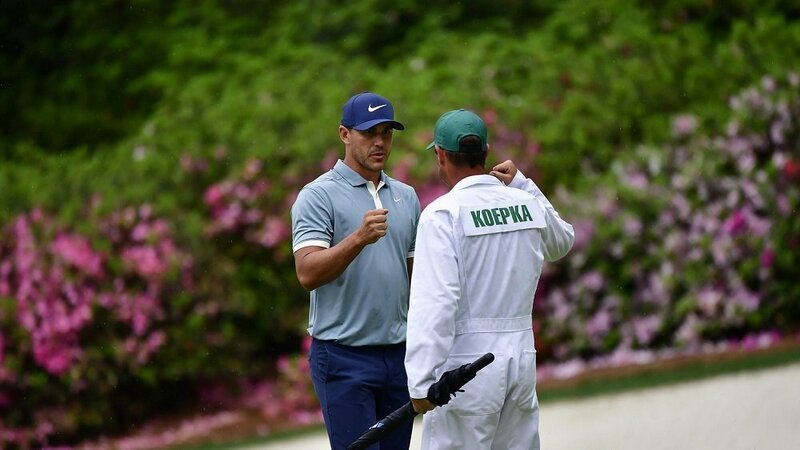 Brooks Koepka eagles 15 and becomes the 5th golfer in a tie at the top of the leader board. Johnson, Schauffele, and Koepka finish at 12 under. The leaders in the clubhouse now sit and watch as Molinari and Woods play the last few holes. Molinari has a poor tee shot on the 15th. The par 5 hole affords him the chance to lay up and still have a shot at birdie. His 2nd shot is left and his chip to the green hits a pine tree and falls into the water short of the green. Another double bogey ends Molinari’s shot at the green jacket. Tiger Woods plays a solid 15th, makes birdie and walks to the 16th green as the leader at 13 under. With the pin on the par 3-16th hole in it’s traditional Sunday position. Tiger drops his 8-iron to the right of the pin and watched it trickle down the hill towards the cup. It settles less than 4 feet from the hole, Tiger calmly sinks the birdie putt for a 2-shot lead at 14 under. A conservative par on 17 brings Tiger to the final hole with a chance to win his 5th green jacket. Using 3-wood off the tee he avoids the bunkers down the left side of the fairway. His 2nd shot comes up short of the green. Tiger’s chip settles comfortably above the hole, his par putt runs a couple of feet past. The short bogey putt gives him the title, his first at Augusta since 2005. 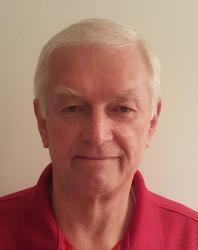 It also ended an 11-year drought in Golf’s major championships. The win was Tiger’s 15 major championship, he is 3 behind Jack Nicklaus. A total that, at one time, looked like it would be obliterated. 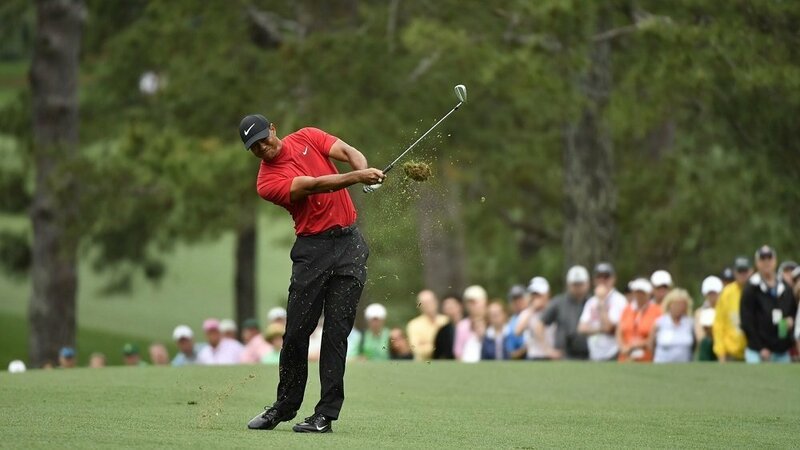 It was Tiger’s 5th Masters win, he trails Nicklaus by 1 in that category. At 43, time is running short for Tiger to eclipse either of Jack’s records. 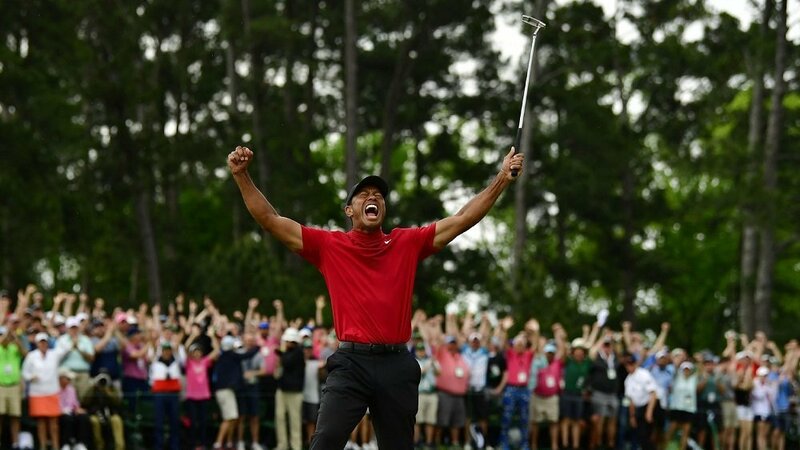 But, many thought Tiger would never win another major. His game looks solid now and his maturity was fully on display today as he calmly went about closing out the win. The Lasco Press golf coverage will resume with the PGA Championship from Bethpage State Park BK Course, May 15-19th.